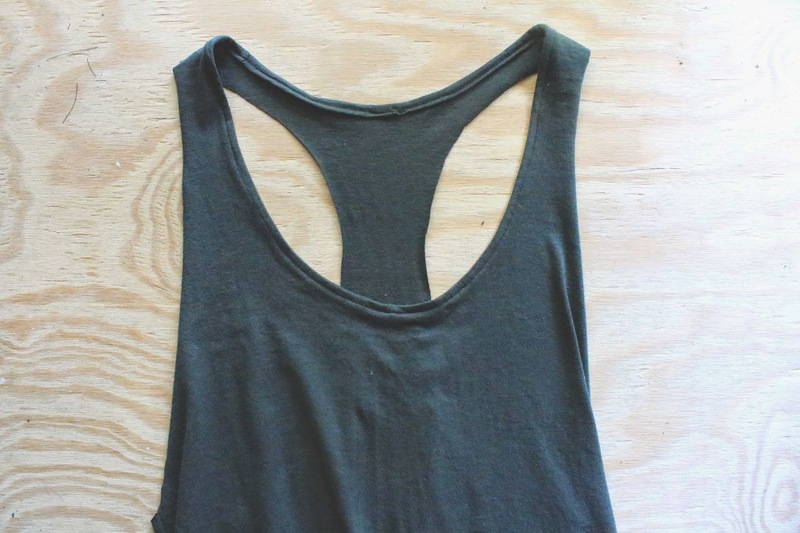 This tank top tutorial was inspired by this Free People Tank, except mine is not as long. 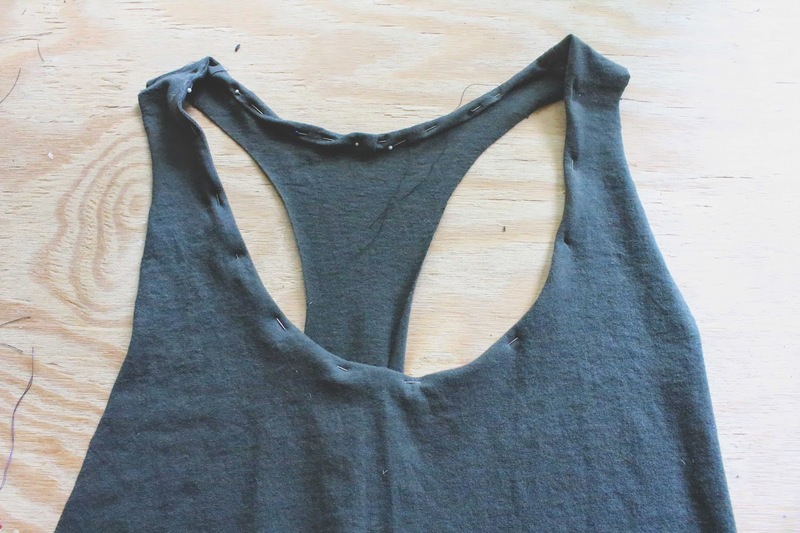 I've been wanting to turn a t-shirt into a tank top, but I've wanted it to look a little more finished than when you just cut the sleeves and neck out.This is a pretty easy sewing project and finishing the neck just gives it a nice little touch. Of course, you could finish all the edges if you wanted. It's up to you. 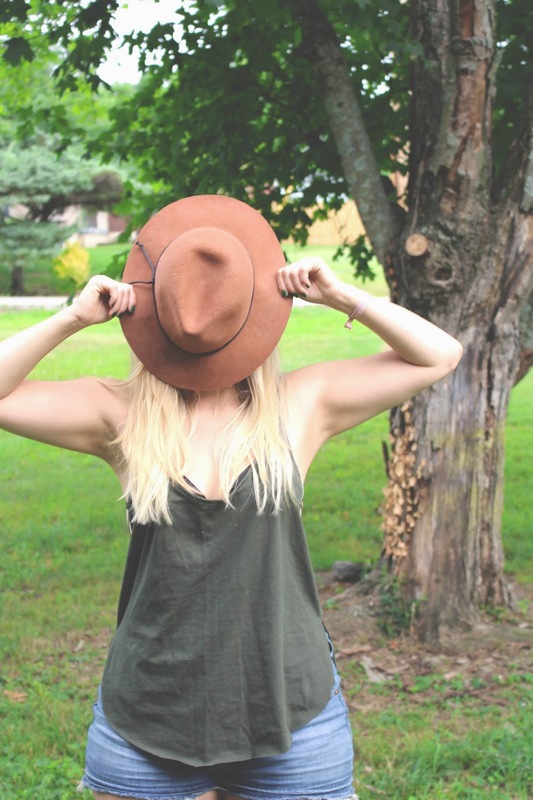 You'll need a t-shirt that's a little bigger than you would normally wear. Mine was a large. 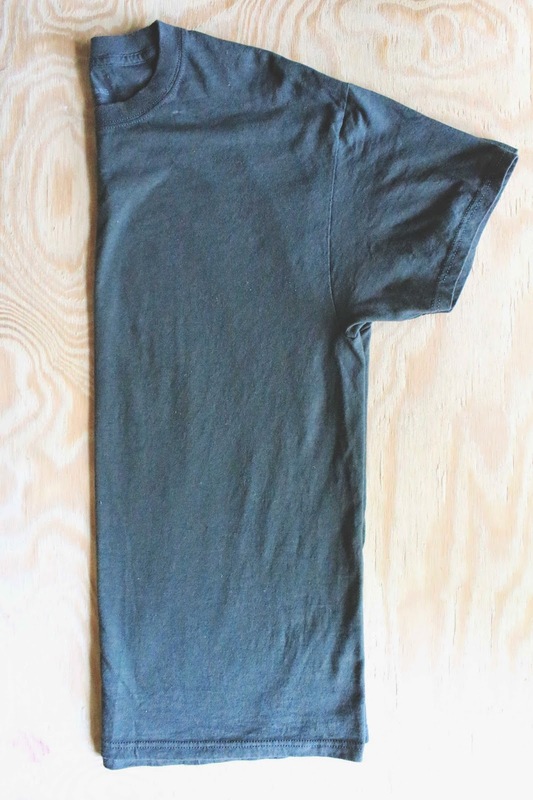 Fold the tee perfectly in half. 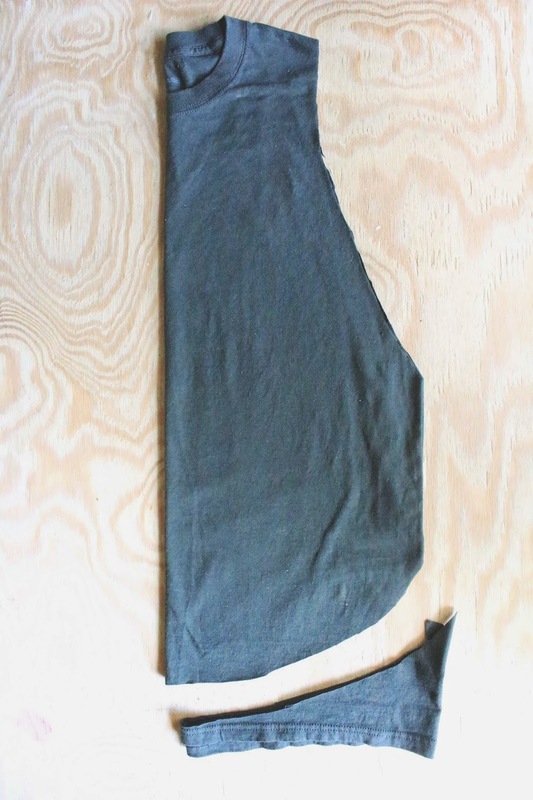 Cut off the sleeve. 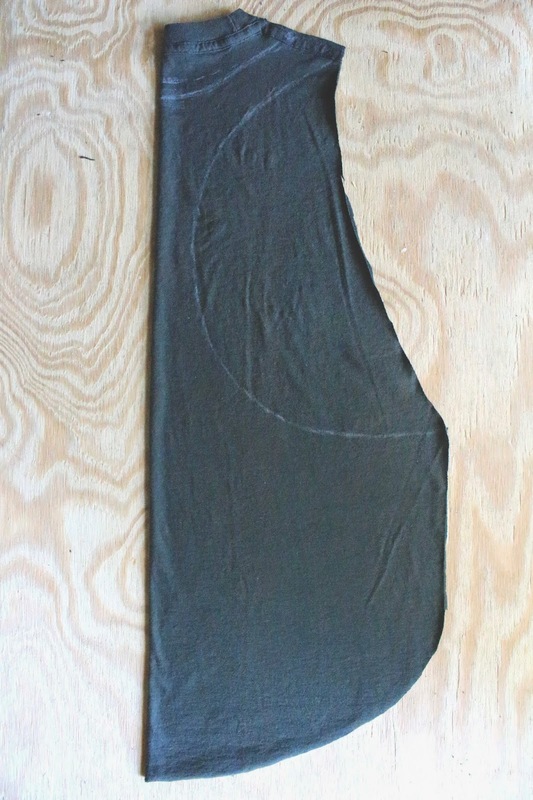 I started cutting about 3 inches away from the neck and cut to about 2 inches under the sleeve. Then round off the bottom. Doesn't have to be perfect. 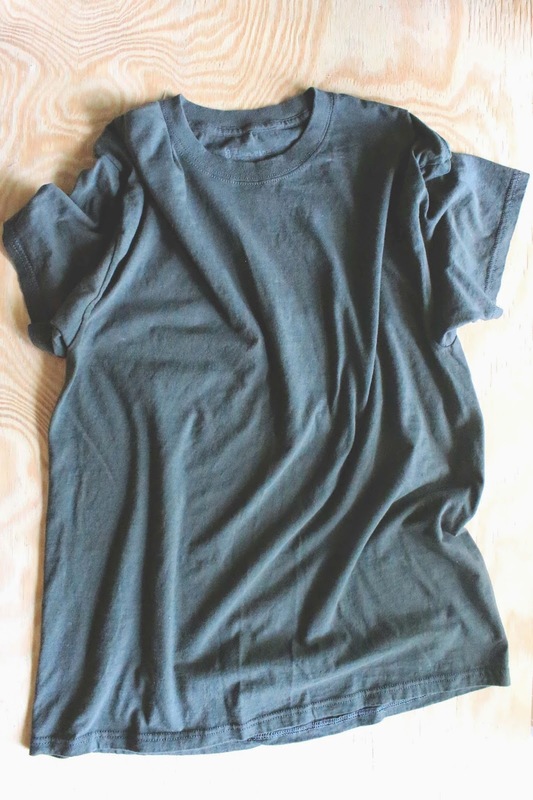 Since the shirt is folded in half, it will look even when it is unfolded. Cut a half "U" shape into the neck. 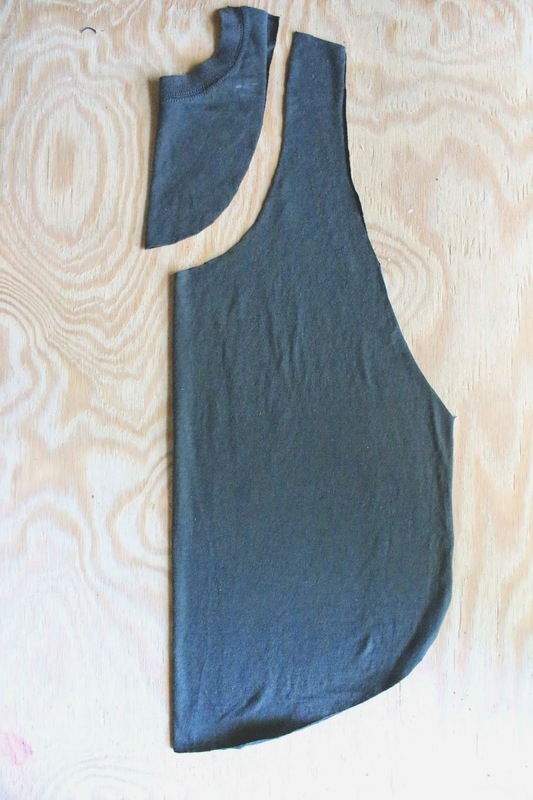 You could use one of your tank tops as a stencil if you would like. 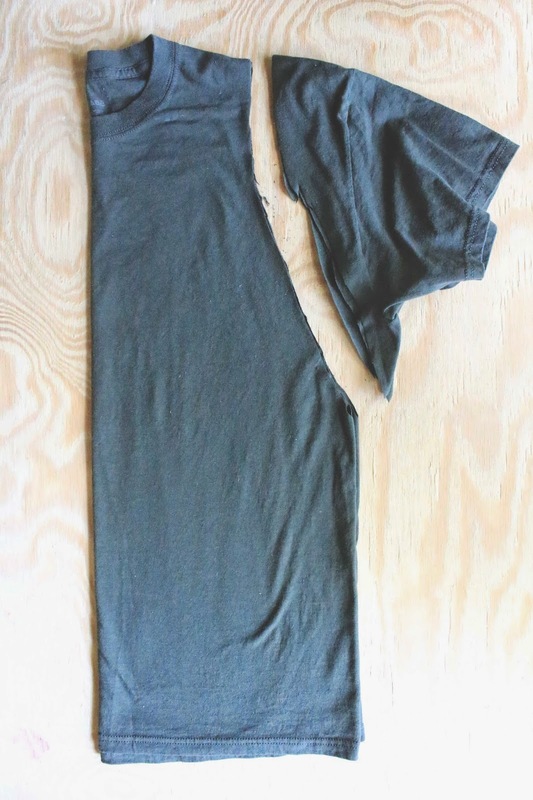 The cut the edges of the shirt to make two separate pieces. You will have a front piece and a back piece. Separate the pieces. 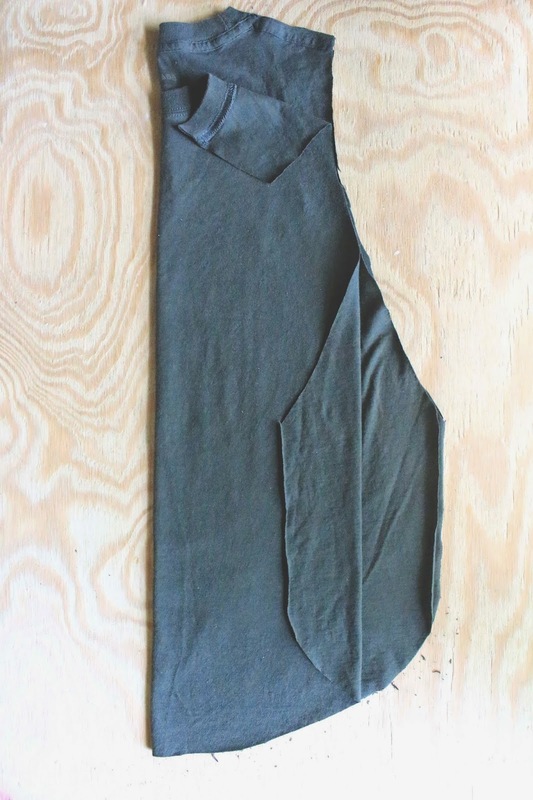 Fold the back piece in half and cut a big "C' shape off of the sleeve area and a small half "U" shape by the neck. 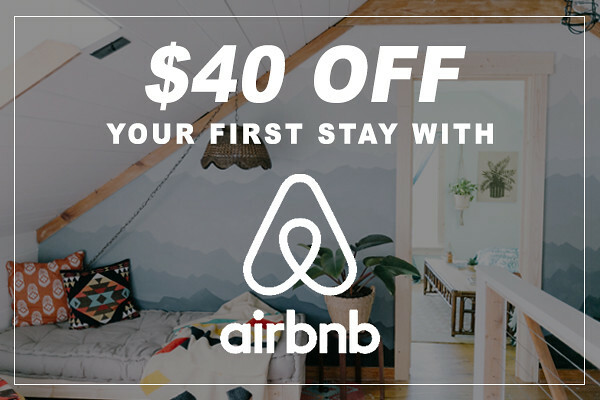 You can use chalk or something to mark it like I did above. Lay the top piece down, right side up and then lay the back piece on top of that, right side down. 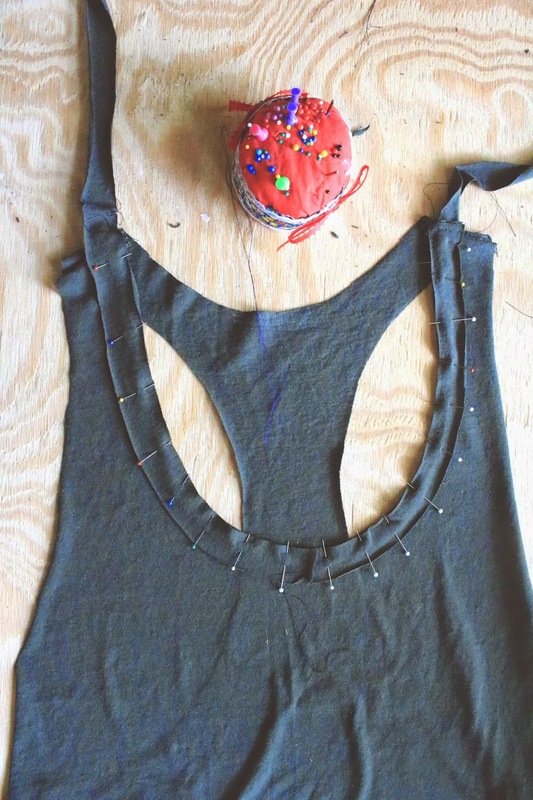 Pin the edges together at the should and the sides. On the sides I only sewed half way down so that the bottom side is open when you are wearing the shirt. 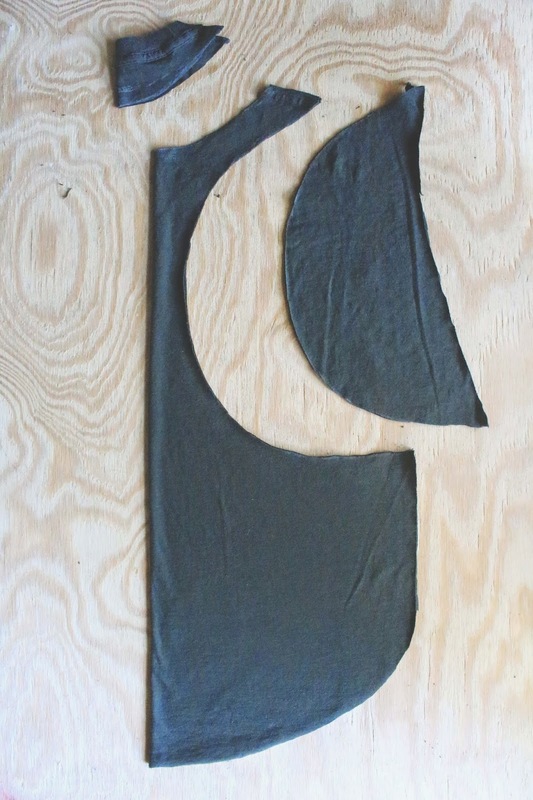 Out of the excess fabric, cut out strips that are about an inch thick. 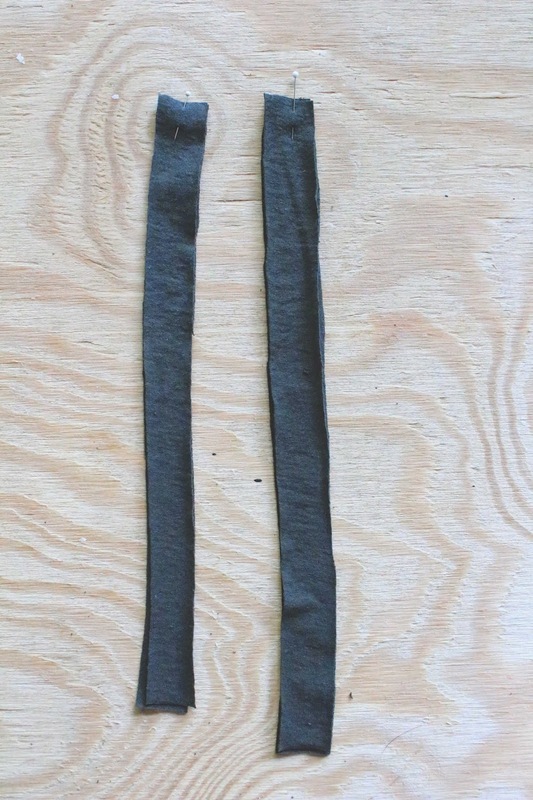 You want one long strip, so sew the edges together. Pin the edge of the long strip all along the edge of the neck, right sides together. Where the ends meet (you may have to cut excess fabric from the strip) pin it like in the picture. How do you even explain this? 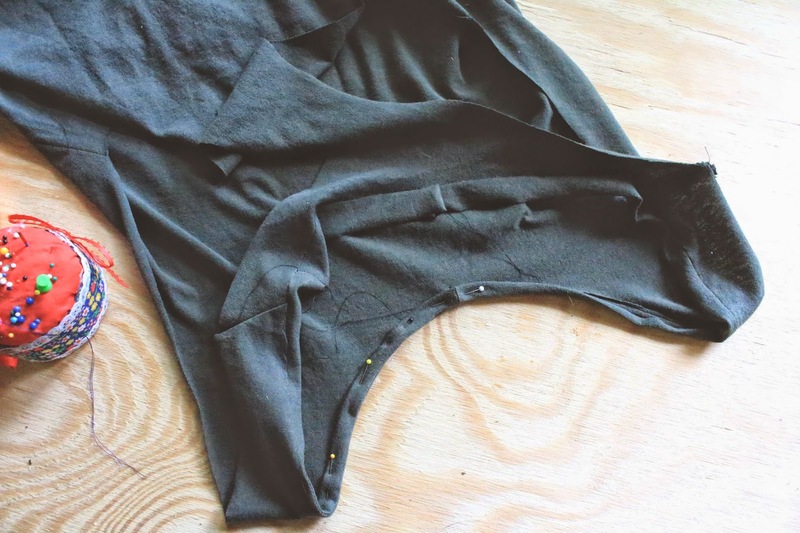 Then sew along the edge. 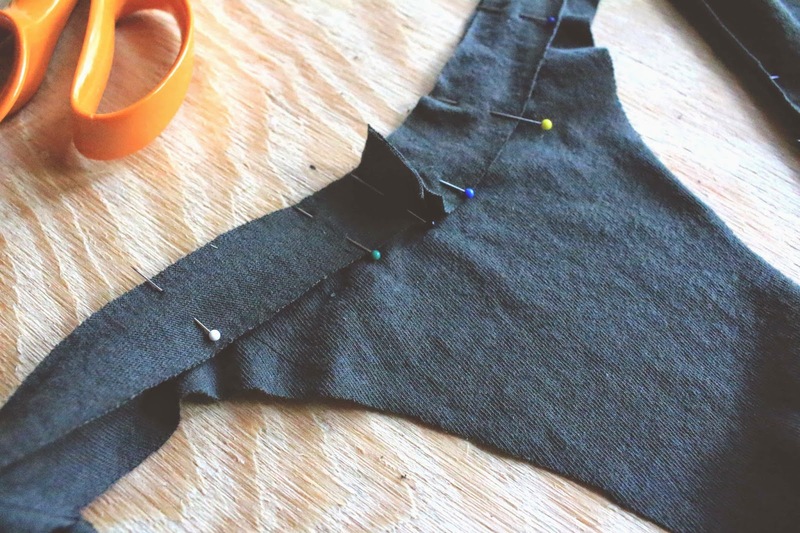 Roll the strip of fabric under and pin onto the wrong side of the fabric. 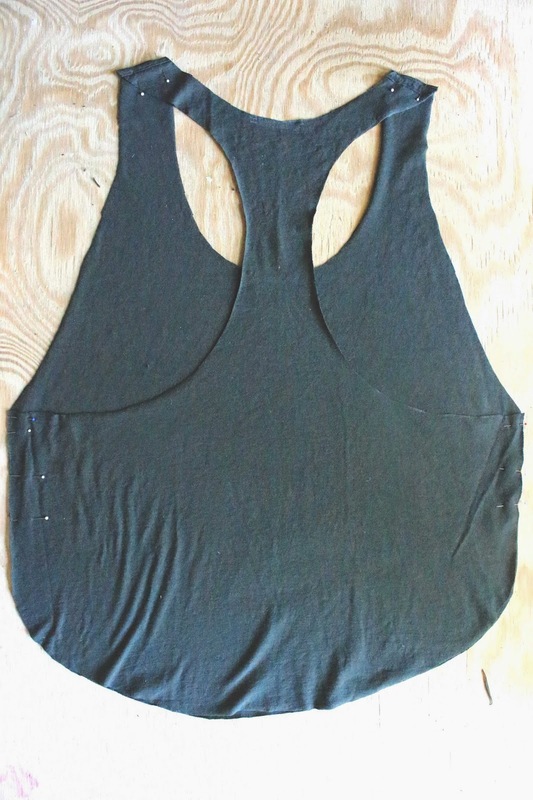 Should look something like this, then sew the rolled up strip down. 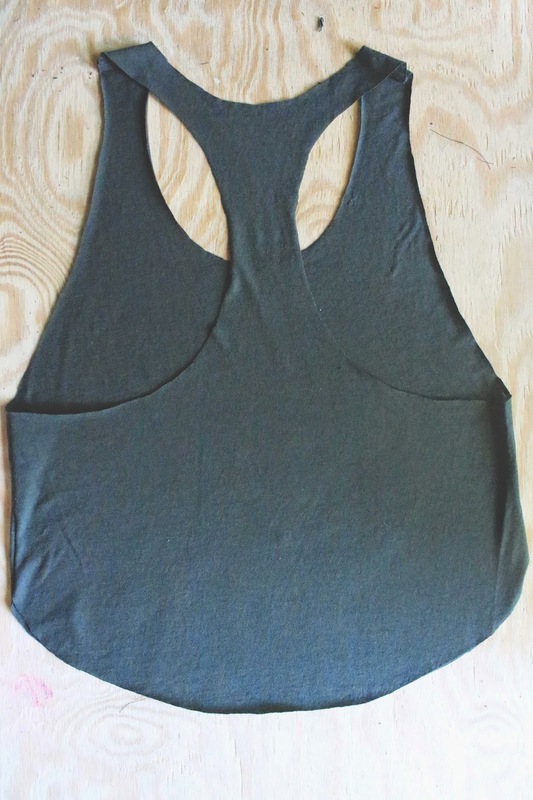 This tank is super comfy and perfect for being out in the hot hot sun. Maybe not practical for any other reason than that. Well maybe you could work out in it? It's super airy like that. Where did you get that bra? !